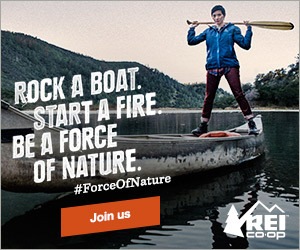 Is it a coincidence that Backcountry.com announces a 20% off full-priced item coupon on the same day that REI begins their dividend sale? You can save 20% off one item beginning March 27,2015 continuing through April 13, 2015 using code SPRING20. There are a lot of exclusions, though, including items from Garmin, Saucony, Thule, Osprey Packs, Nike, etc. Still it is a great time to pick up a larger item like a new backpacking stove or tent or perhaps a new spring clothing item from Toad & Co. or Patagonia! « REI Members Save 20% Now!